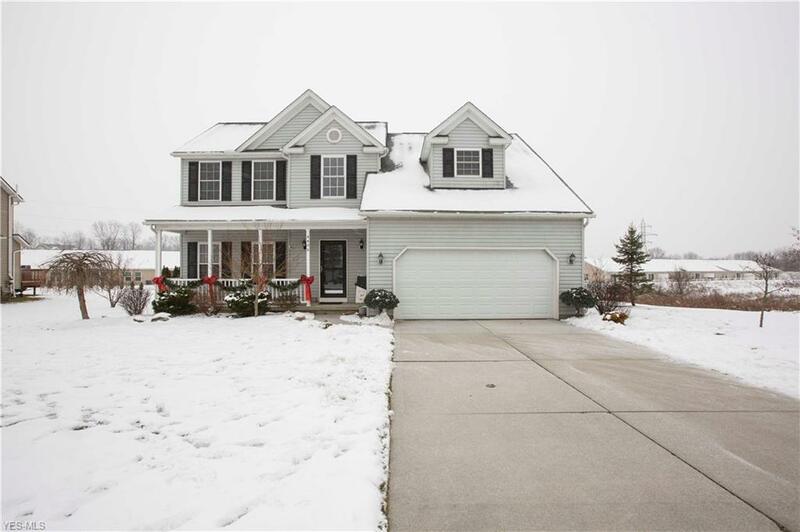 Welcome home to this 3-bedroom, 3 bath custom built home! First floor boasts a dramatic 2 story foyer. There are solid hardwood floors throughout! Large kitchen with maple cabinets, recessed lighting, granite counters and island! There is a dining room with sliders showcasing the professionally landscaped grounds. 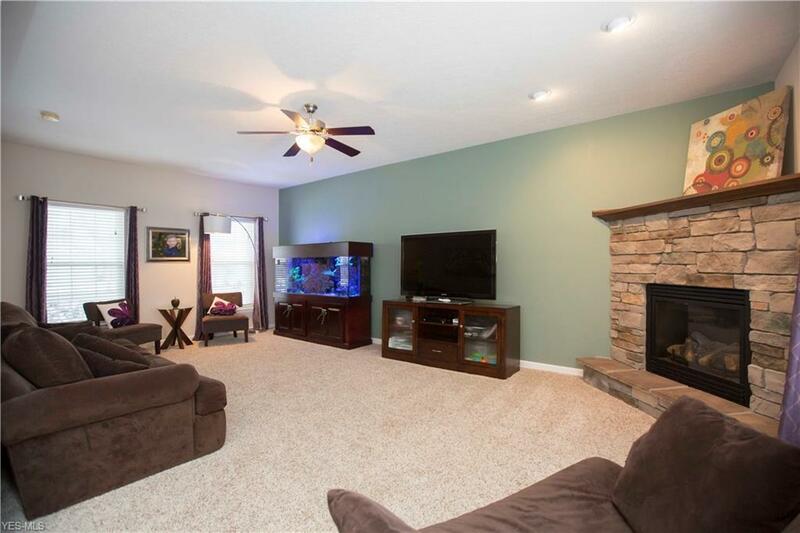 Massive Great room with picture windows and a corner floor to ceiling stone fireplace. There is a guest bath and laundry room to complete the first level. 2nd floor boasts a gorgeous 2 story landing, 3 large bedrooms and 2 bathrooms. Master en suite is a private retreat and a dream! Expansive walk in closet large enough to be a bedroom! Master bath has walk in shower, dual vanities and separate soaking tub. Guest bedrooms and Guest Bathroom are all large with ample closet space. 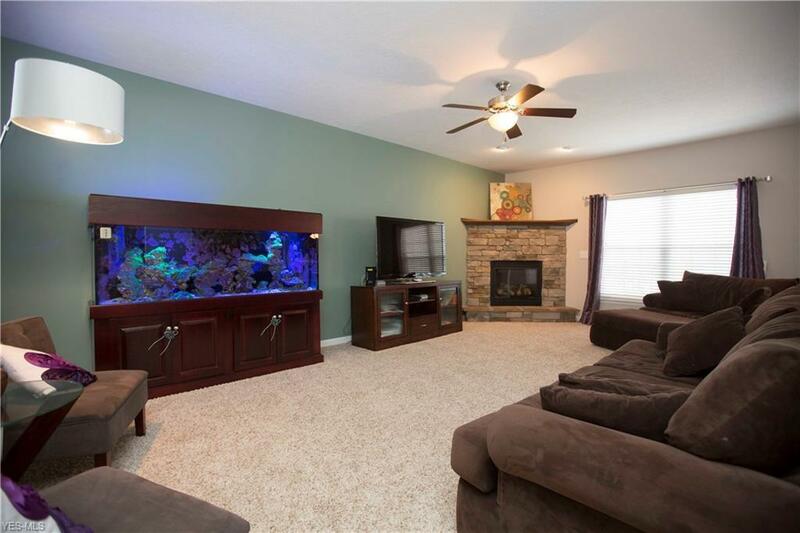 Full lower level has endless possibilities! Home is professionally landscaped and sits on a gorgeous lot on a cul de sac! The home has 2 exterior entertaining areas with a Large front porch with lake views and an over-sized custom deck. In addition to the attached 2 car garage there is a storage shed. Home is located in the desirable country setting of Pleasant Lakes development with walking trails, sidewalks and Lakes!